If you want to get the spear of Khaine in Dawn of War 3, then you must first face the final boss Daemon. This has 10,000 HP, deals a lot of damage, has minions and can heal itself to all abundant self. The enormous strength of the final boss in the game forces the different factions to get together. None of them are enthusiastic about it, but you can master the last challenge by combining the strengths of Orks, Eldar and Space Marines, and also get a small Sneak Peak to a possible DLC. Melee: They are going to attack you and you can use the AoE attacks of your elite units. Devastator: Due to their high damage, these units should be killed as soon as possible. Sniper: Kill them gradually, avoiding their attacks. You should be very careful as soon as the demon falls below 5,000 HP, because in this case he jumps to a kind of healing fountain, which should be destroyed immediately. He cannot heal completely with this ability, but he heals around 1,000 HP through healing. However, you cannot directly destroy the fountains you have to attack them over several attempts. The demon will not attack you as long as he feeds on the well. It is very important that you evade the demon's attacks as often as possible. He will throw fire arrows and balls. You can avoid this with a lot of skill and thus prevent a large part of the damage. If it should happen that two of your heroes should fall, don’t take the daemon in the entrance, but avoid his attacks until your allies are alive again. Once you defeat the demon, a sequence will be played that describes the end of Dawn of War 3. You see how the heroes stand together after their victory. Then follow the credits, which you should watch to the end. 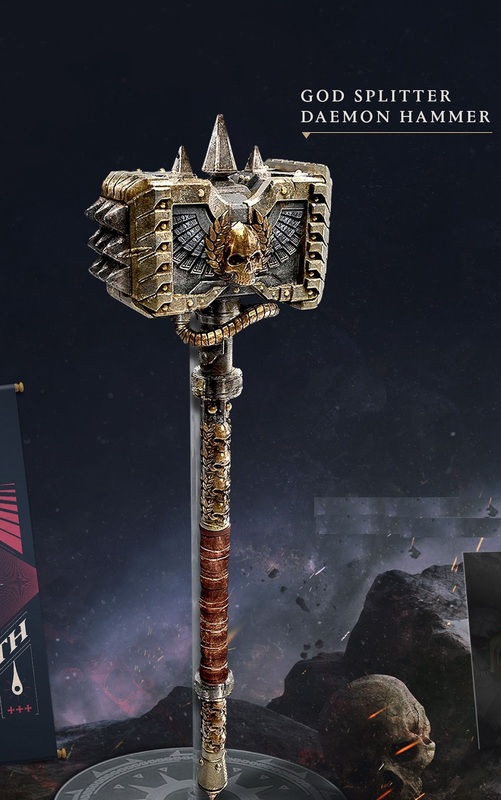 Then both a reference and a clear picture appear that show a well-known fraction from Dawn of War.